It’s not a secret that I am helping companies solve problems and I like my job. I have been an engineer and a scientist half of my adult life and this is something I definitely like to do. Even leading a company I tend to spend more time with customers and learning new stuff than managing a company in a classical way. What I enjoy most is providing real answers to real customer problems and shape products around them, so yes I would rather provide knowledge and solve real-life problems than selling innovation as a solution. Here comes my favorite quote when a prospect asks why should I choose Develandoo, my answer is always – “I strongly believe that selling innovation is not an answer to a problem, but providing long-term answers to those who face a problem is a real solution to existing problems and that’s what I call an innovation”. And this is what we are used to doing in Develandoo – providing answers and accepting challenges. But let me start with a real story. I would like to share a case with one of our customers. It all started with a future customer searching on LinkedIn for data experts, and hopefully, it ended on my name. One day I got a call from chief sales executive of an insurance company who wanted to get some help with their sales and CRM system integration. On my question “how can I help?” he briefly explained that somehow even spending millions of euros on Sales and B2B Marketing their sales conversion rate was extremely low and customer lifetime was low as hell. They were looking for contractors who could help them understand why and what the heck is happening with their sales pipeline. I was a bit shocked, cause the name and status of the company accompanied with their budget should have provided more than enough fresh customers, but this was not the case and I accepted the challenge. Because of my passion towards Artificial Intelligence, my first natural hint was that I need to get access to databases and start understanding how, where and in what format they use the data. Is there some kind of analytics software they use to profile key accounts. After initial discovery, I understood that the situation was even worse than I imagined. 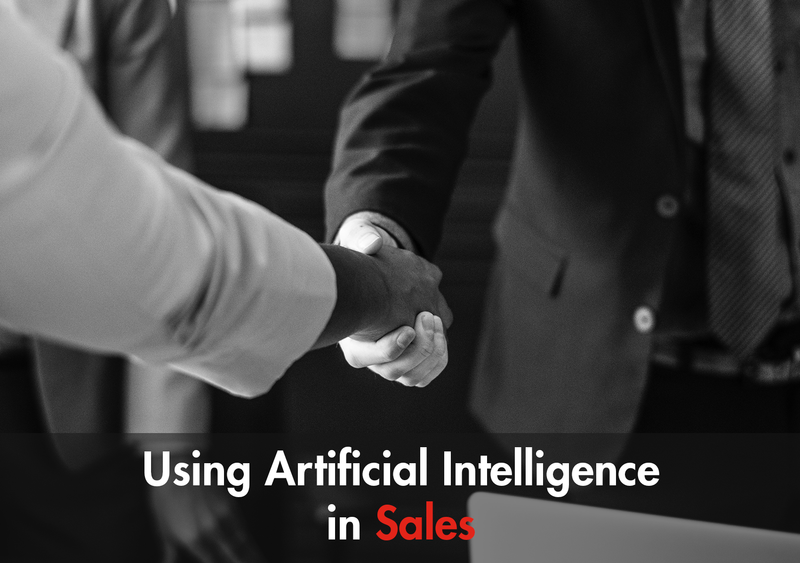 The company was using a very expensive enterprise package of CRM system, data was stored locally, no analytics was running on top of it, moreover, they were using old style lead generation and nurturing process and none of the company’s sales executives knew anything about their ideal customer. “But wait, you have 45 millions records of data, this is more than enough to build prediction and analysis on top of it” was my first reaction, and you know what? people just stood there, shook their heads and said, well we do not have specialists and it’s too difficult to find these people on German market, plus it requires a change in the way we operate, our sales employees are used to old style processes and changing them will be a difficult and a painful move. To tell the truth, this was challenging, I knew what to do, but any step towards that was connected to some steps affecting organizational structure which in its case would bring unnecessary noise and politics. But again as we in Develandoo like challenges, this did not stop me. I went home, switched on my favorite music and started scratching on a piece of paper what I could and could not do. After several hours of brainstorming with my favorite Skullcandy headphones :), I had an ugly task and some draft ideas on the paper. And then the idea of creating a standalone solution came to my mind. I immediately called our UX guys, explained the idea and the work began. I was working a full day at the customer’s office understanding the data structure and the whole evening with our UX team drafting the idea and shaping a new product. After 4 weeks of heavy work, the first prototype of the product was ready, I was excited to test it on a real customer and I immediately headed to the IT department responsible for CRM access. When he saw me again at his office, (last time our discussion ended like, heh good luck with getting the data out of this building, GDPR is coming), he said: “hmmm, do you still want to get access?”. And then I was like “nope, I have something you cannot resist :D”. I installed the standalone solution as a docker image on top of their servers and connected to CRM system, opened the dashboard running locally and saw the magic. We started getting nice charts about customers, their statuses, their insights, their interests and much more. Suddenly the face of the DevOps engineer changed, he started checking the data packages if data is being sent out of the building or not and there was not a single package with their CRM data going out of their corporate network. “How did you do it?”, he asked me. “Well, we are the team that always delivers :)”. Ahaha, you had to see me that moment, I looked so proud like I just saved a princess from Mario Brothers video Game 😀!!! After an hour of testing, we showed the solution to the top management in the insurance company and everybody was happy enough to buy the incremental updates support from Develandoo. I was double happy, I got them as customers, solved their problem and created a separate standalone solution which we called LeadCrawl. Now, tell me, isn’t it fun to earn money by helping people with their problems and have a real startup product built in that process?